Paint Stripping: Is It Really Necessary? It’s always amazed me to see workmen sanding all the paint off a home’s exterior just because some of the paint is peeling. All that work and expense, and rarely is it necessary. Generally, new paint isn’t going to adhere any better to bare wood than it would to a layer of old paint. Before climbing the ladder, sander in hand, take the time to answer a pair of essential questions: 1) Why is the paint peeling, and 2) is it really necessary to strip all of it? Paint usually peels due to high levels of humidity and inadequate ventilation, not because of substrate problems. 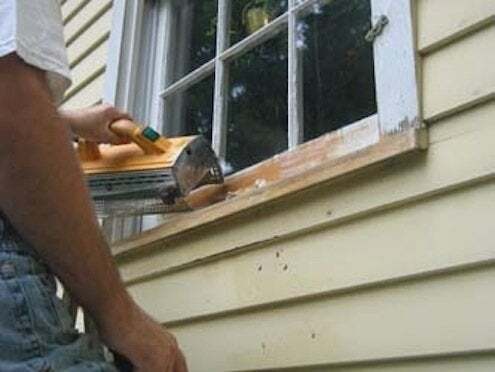 If you lift a peeling section and see wood, it’s because unvented moisture from inside your house has built up in the siding and “pushed” the paint layer away from the wood. In the above describes your situation, improve the ventilation in your home before doing anything else. Afterward, instead of stripping paint, scrape off loose or blistered paint, sand rough spots smooth, prime bare spots (anywhere that wood shows through) and apply a new finish coat or two. If, however, the paint on your house is so thick that the definition of shingles, molding profiles, and decorative carvings has been lost—or if you want to reveal the wood grain that the paint is hiding—then at least some degree of paint stripping will be in order. My recommended plan of attack involves a heat gun and a quality set of paint scrapers. Hold the heat gun a few inches away from the surface to be stripped, and as the old paint heats up, you’ll see it begin to bubble and lift. Before the softened paint can cool, use a scraper or putty knife to remove the loosened paint from the substrate, allowing the scrapings to fall on a drop cloth. These solidify quickly and therefore won’t create the noxious mess that liquid paint removers do. For big jobs (e.g., large areas of wood siding that’s severely alligatored) consider using an infrared heater. 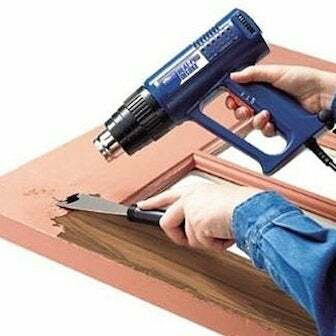 This tool heats a larger area than a heat gun and can be mounted on a track for hands-free operation. Scrapers are available with interchangeable steel heads, some flat and others with points or various contours for tackling curved surfaces. To quicken your work, keep scrapers sharp with a file or sharpening stone. The heat gun-and-scraper combination can also be used when stripping paint from furniture and interior trim. Here, household implements (like old steak knives) can be useful for digging softened paint out of narrow crevices. Having completed the other steps in the process, lightly sand to remove additional paint residue, then refinish. 1. When using a heat gun, remain aware of where you’re directing the heat. Do not point the gun in one direction for too long; you can inadvertently scorch the wood or ignite the paint (or any flammable substance close to where you’re working). 2. If the surface you’re stripping has paint layers that date back to before 1978, they may contain lead paint. This stuff is no joke, and the heat gun may vaporize the lead, allowing it to be inhaled. On a windless day, this can even happen outdoors. 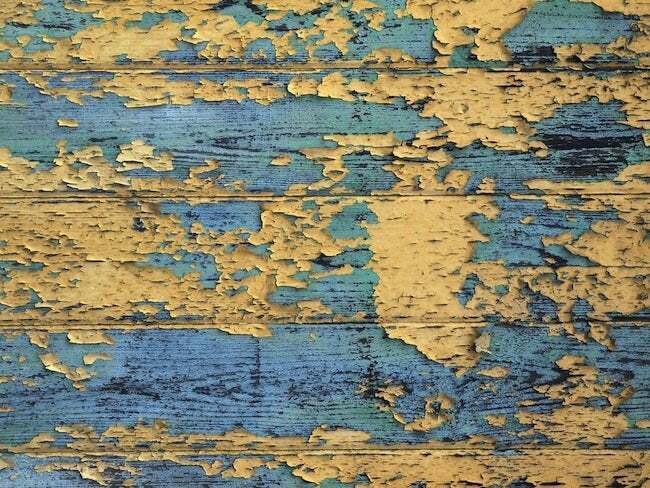 If you’re scraping and sanding, lead-laden bits of old paint can scatter on the floor or get on your fingers, only to be ingested later without your realizing it. For protection, wear gloves, a dust mask, and ensure adequate ventilation of your work. Launder clothing after work sessions as an added precaution.